This heart shaped basket measures 6.25" long, 5.75" wide, 0.75" tall. The dimensions are outside measurements. 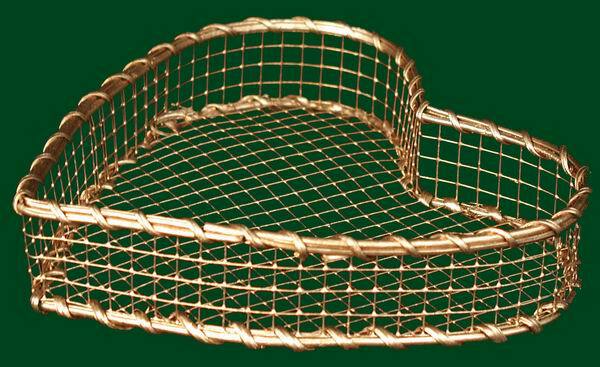 It is made of steel wire and available in all Metallic Finishes. Due to strong demand, we also finish it in Painted Red color on Special Order. The sample basket is finished in Champagne. You can find three larger sizes by clicking on item number K8919, item number K8920, or item number K8921.